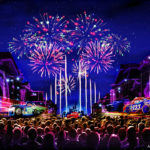 The Summer Season at the Disneyland Resort has come to an end. 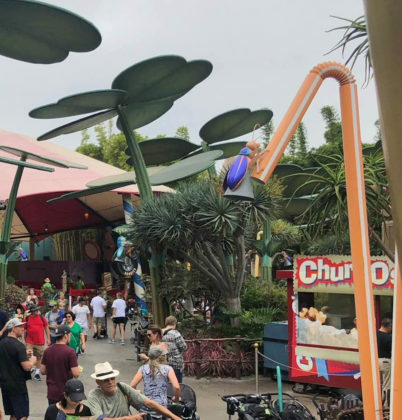 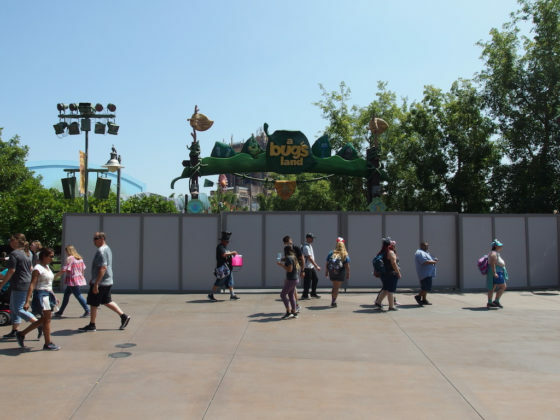 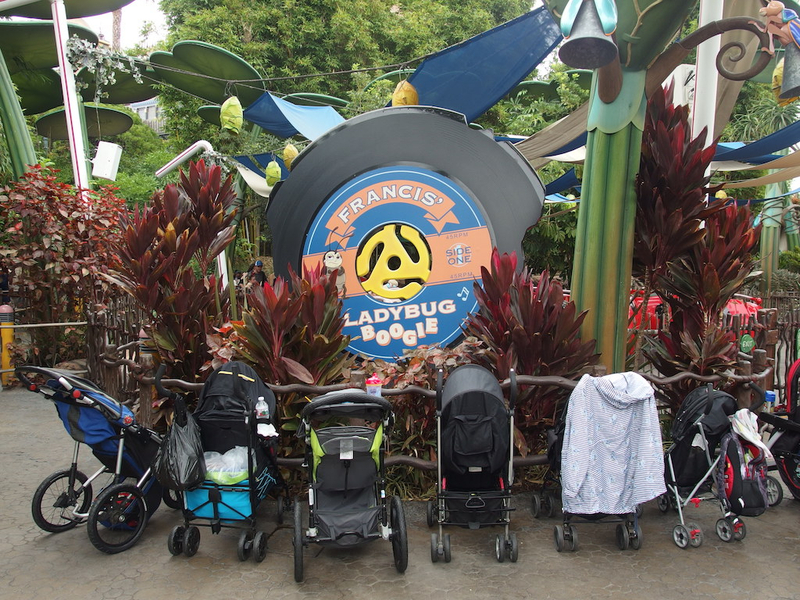 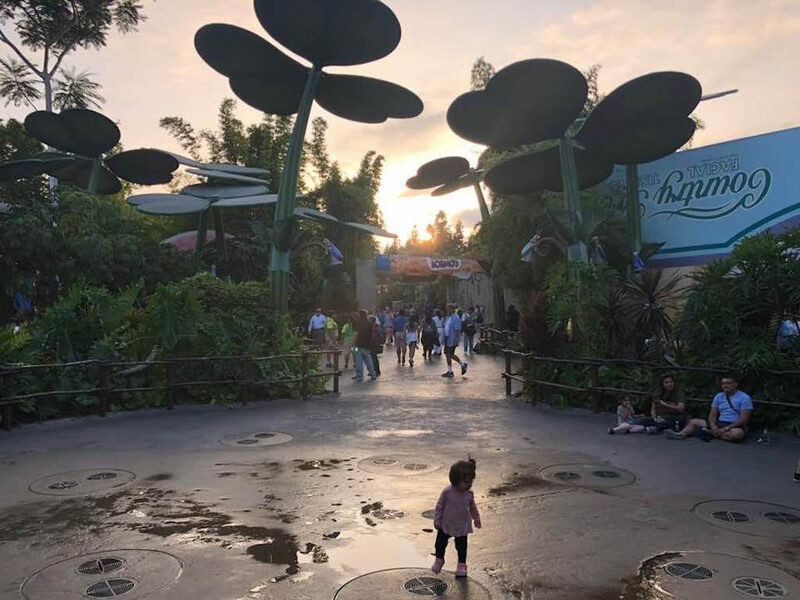 Pixar Fest is done, refurbishments are taking place, and guests have said “farewell” to “a bug’s land” at Disney California Adventure. 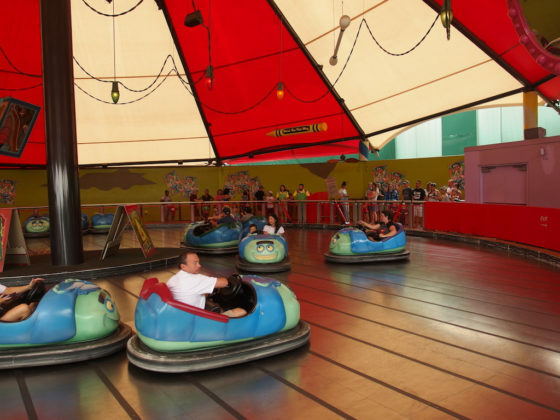 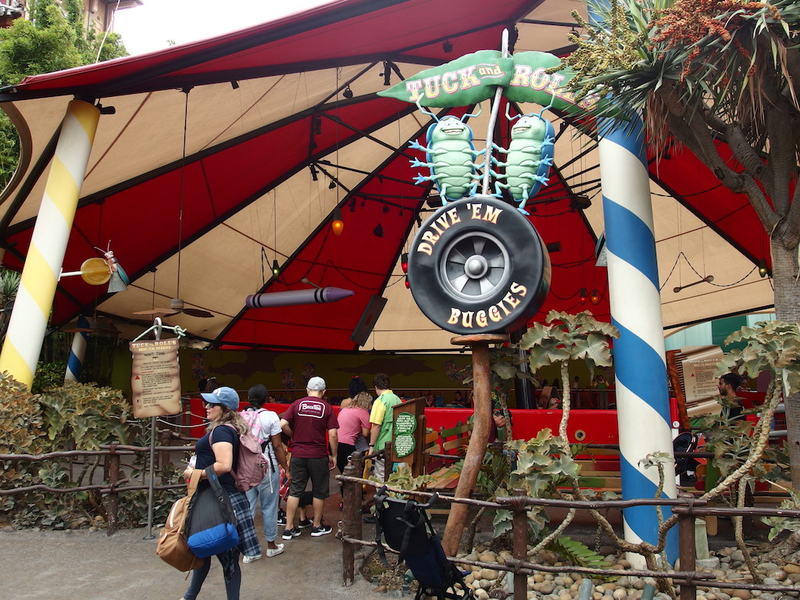 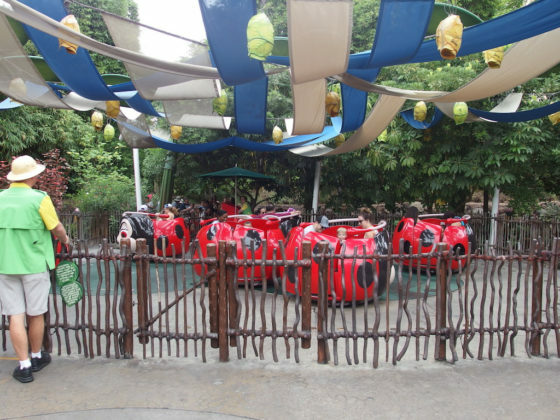 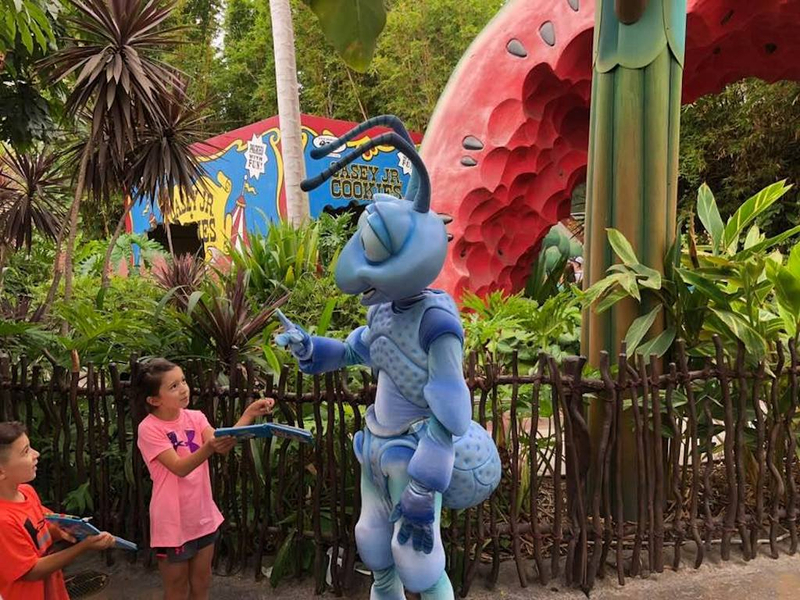 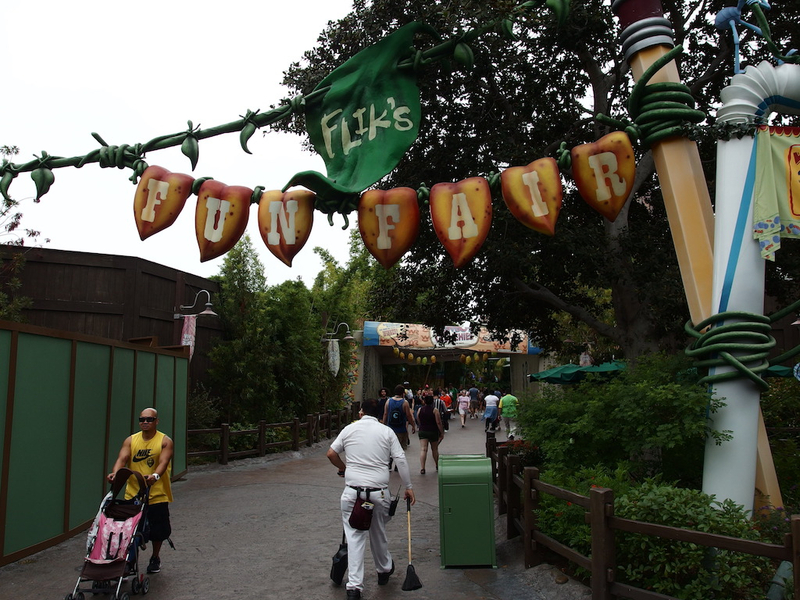 Flik’s Fun Fair was kept open for one day beyond Labor Day, with the last guests taking final rides and many, many selfies. 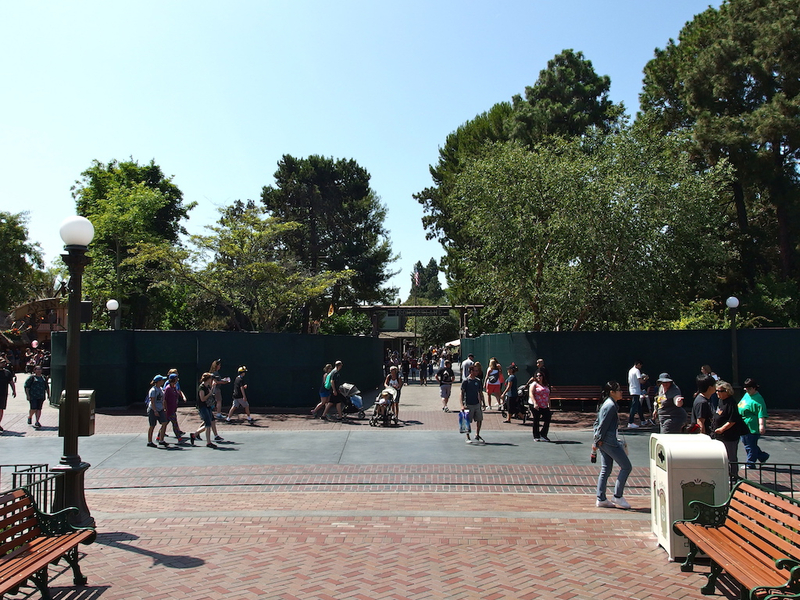 On Wednesday morning all three entrances were walled off. 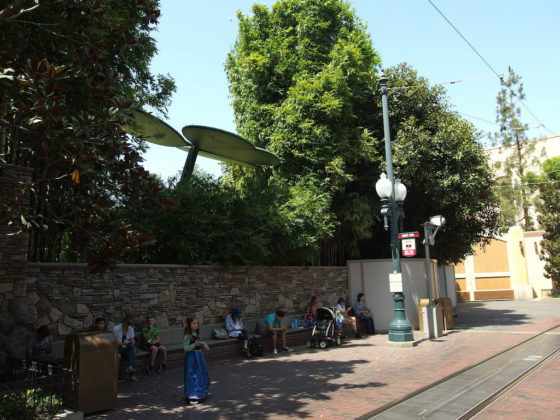 Visitors can still glimpse part of the entrance from Mater’s Junkyard Jamboree, and see a single giant clover peeking over the wall at the Red Car Trolley stop on Sunset Boulevard. 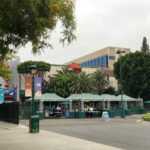 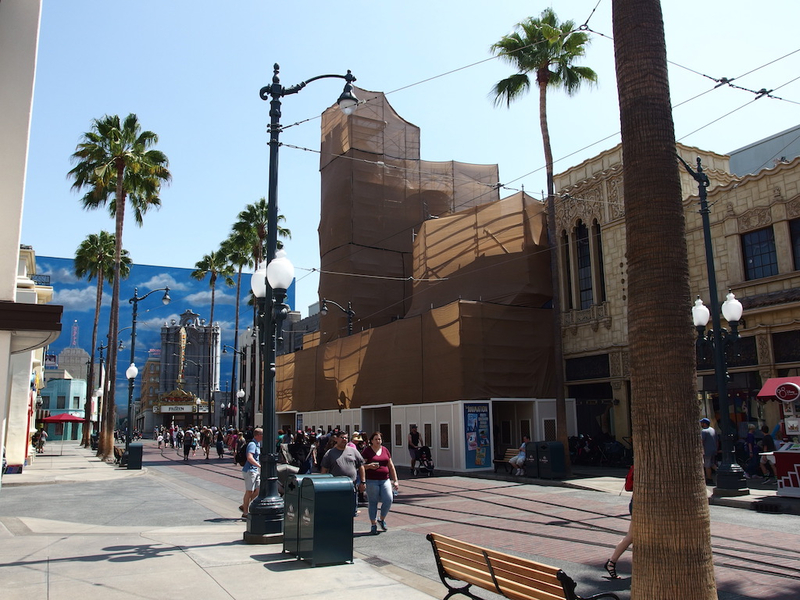 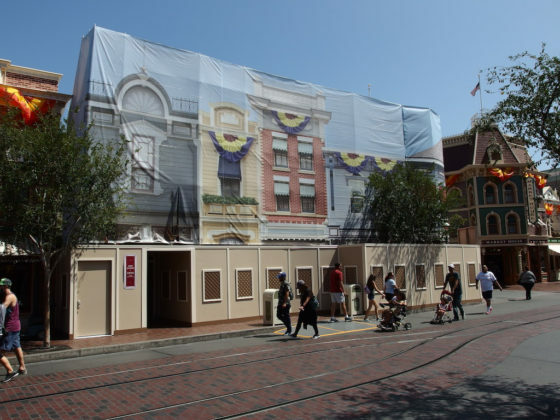 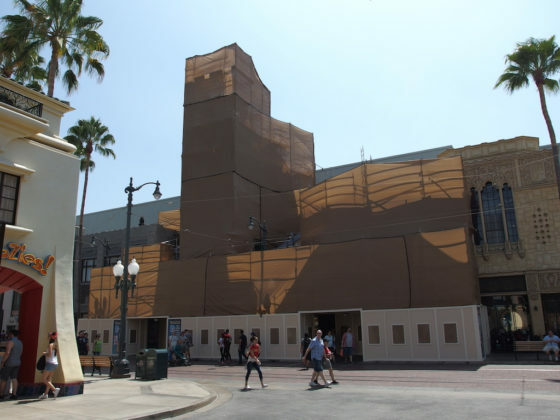 On Hollywood Boulevard the Animation building is under wraps. 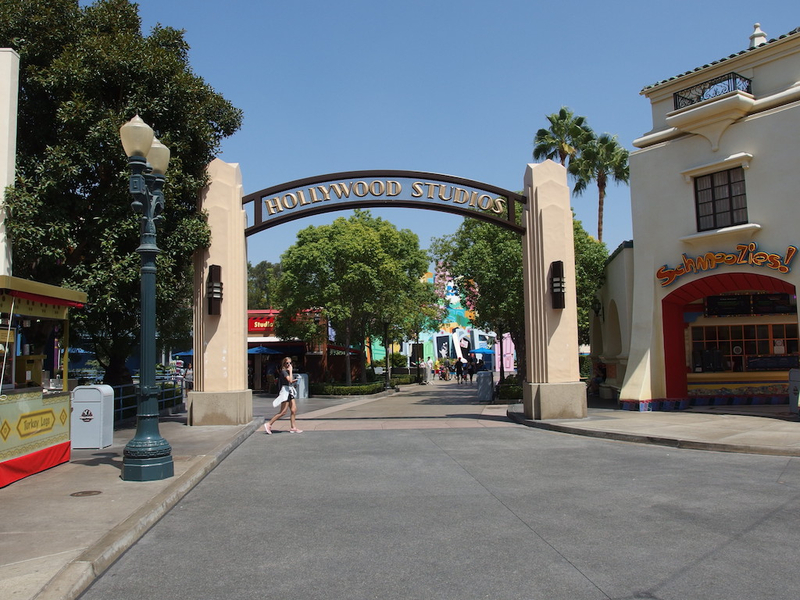 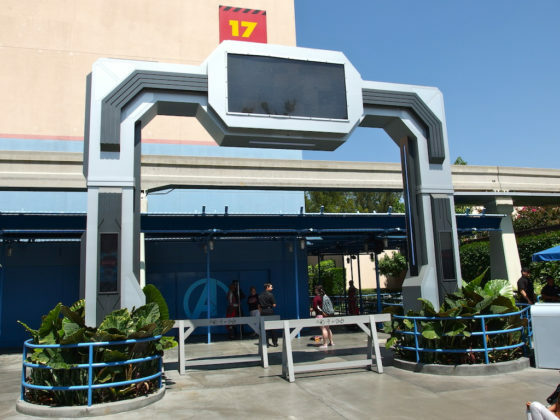 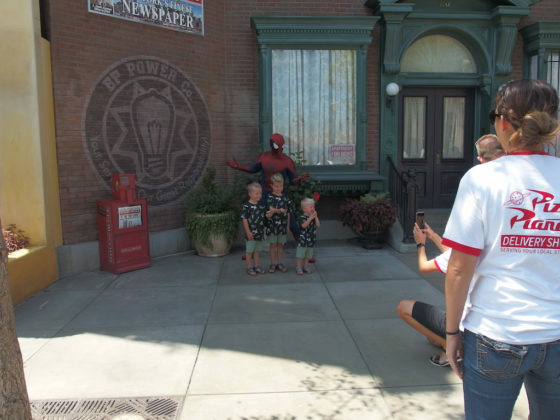 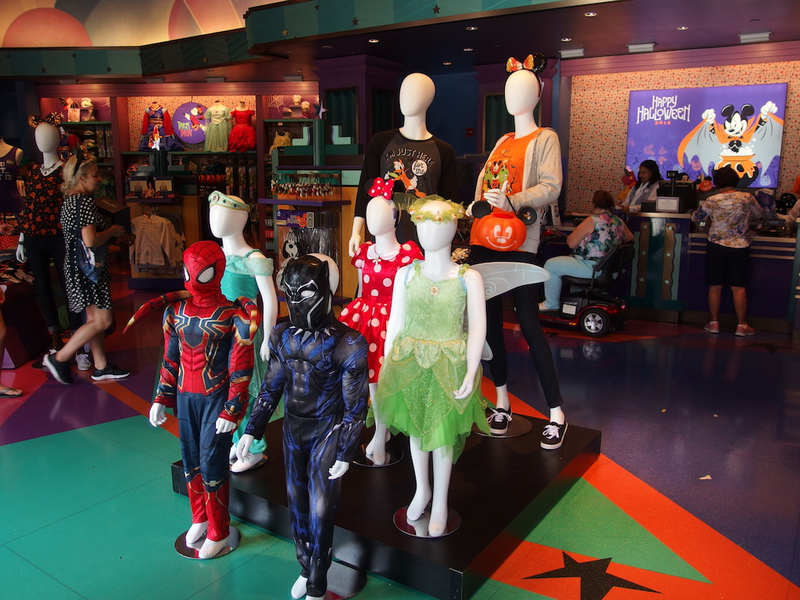 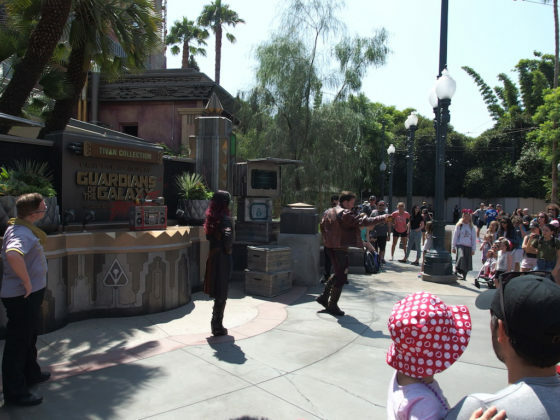 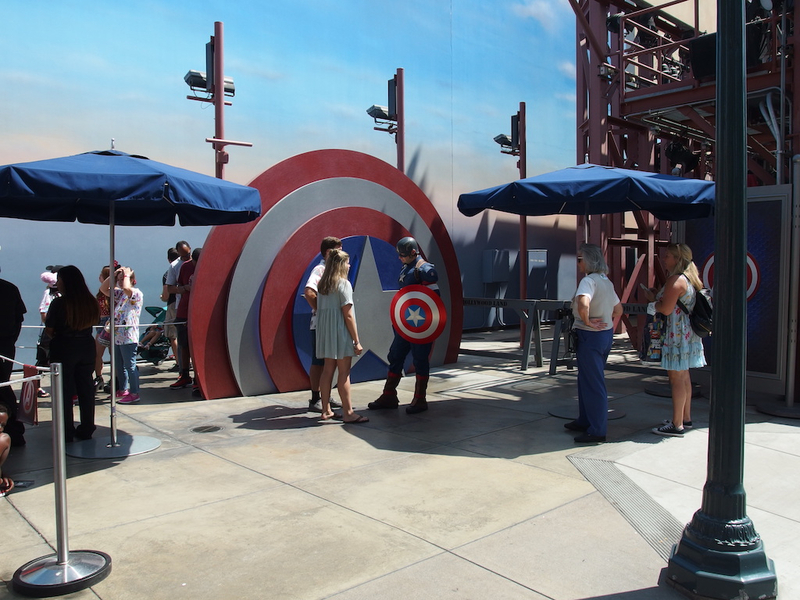 The Hollywood Studios area is still hosting Marvel superhero meet and greets. 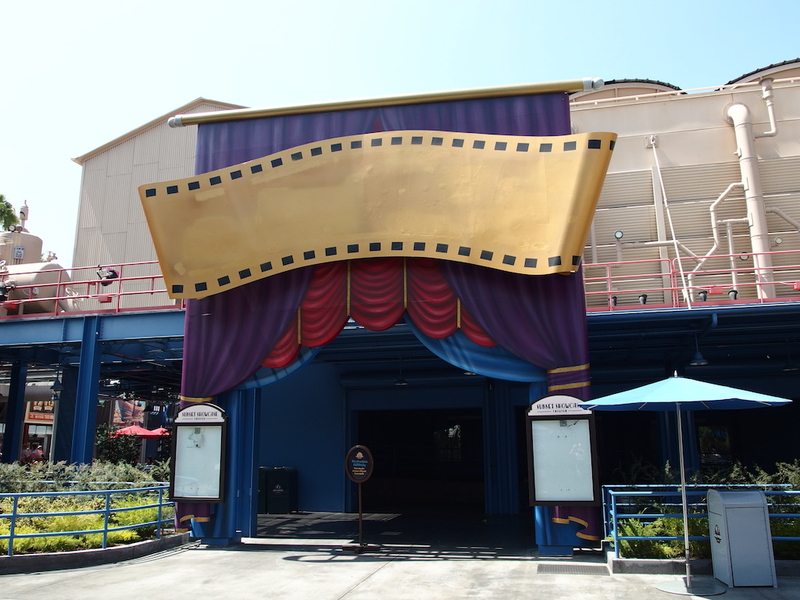 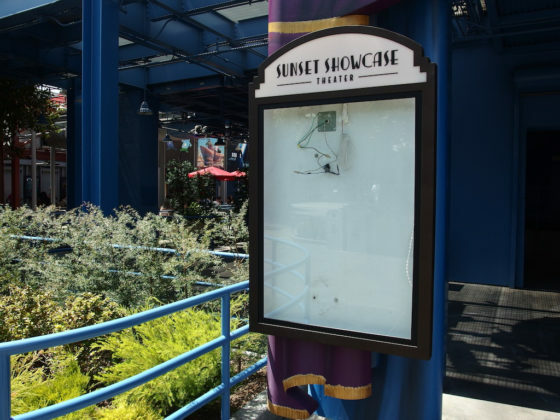 The Sunset Showcase Theater is currently closed. 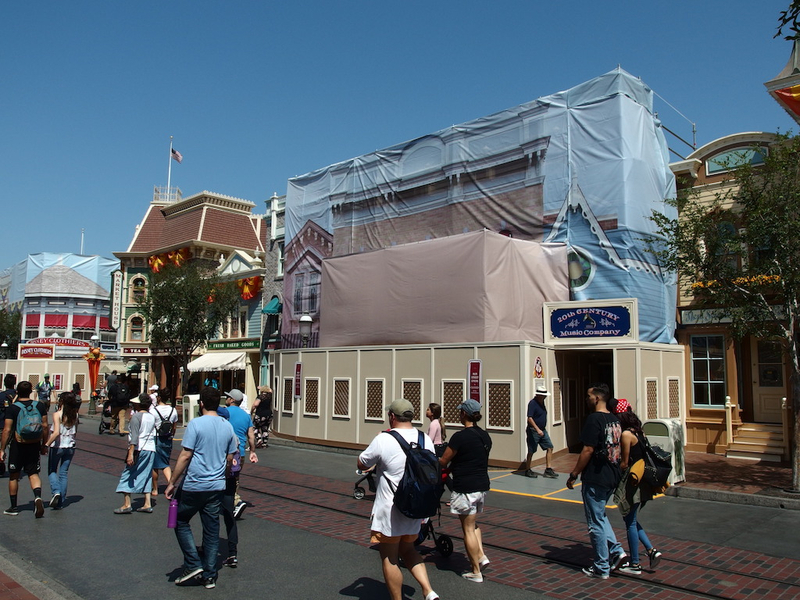 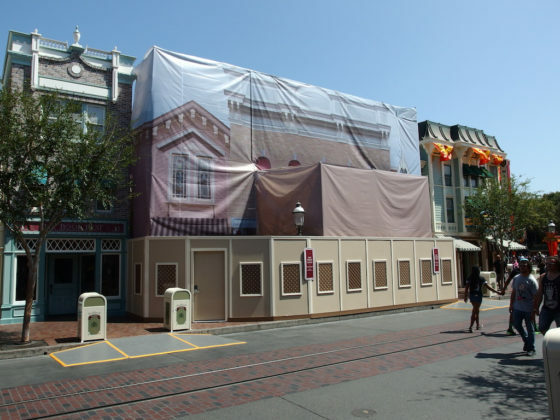 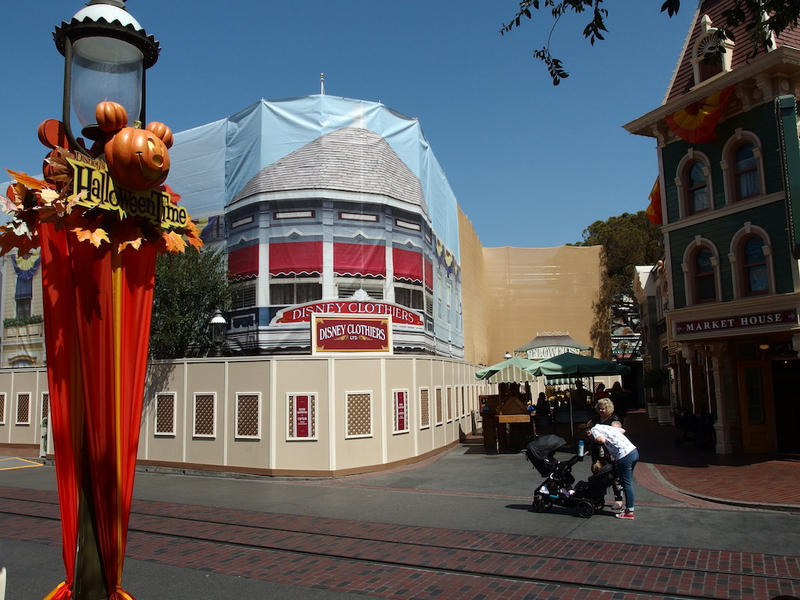 Over at Disneyland Main Street is being decorated for HalloweenTime, despite some major refurbishments. 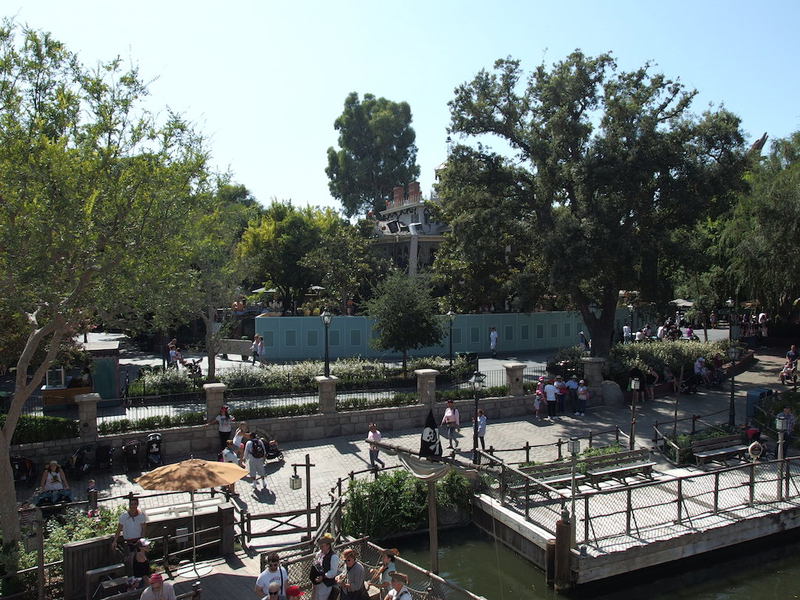 Down at the central hub, sections of the waterways have been closed off for work. 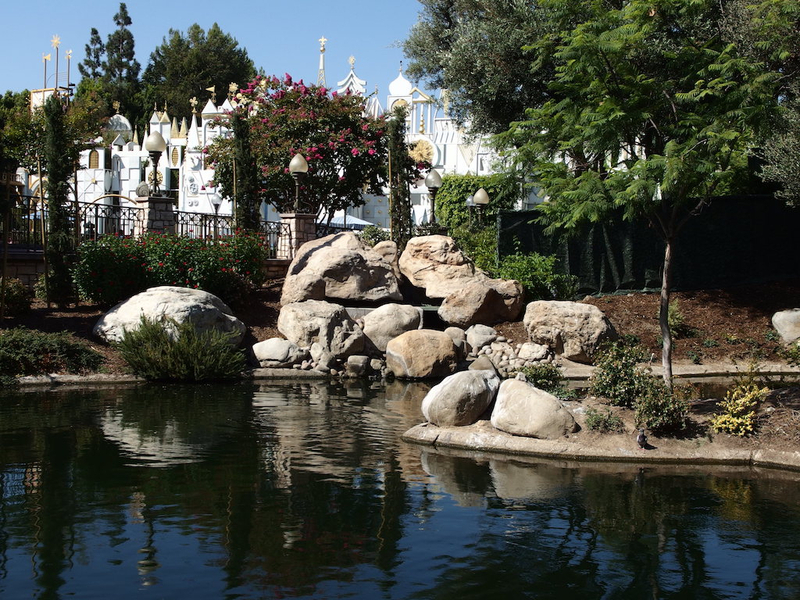 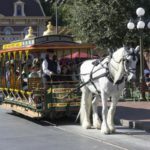 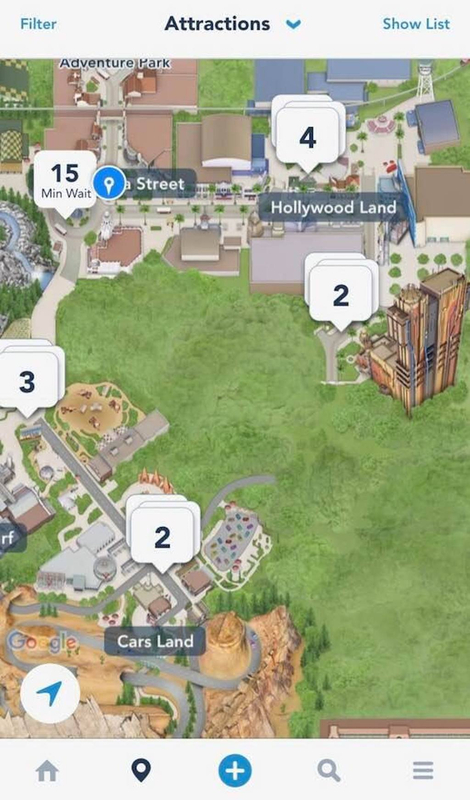 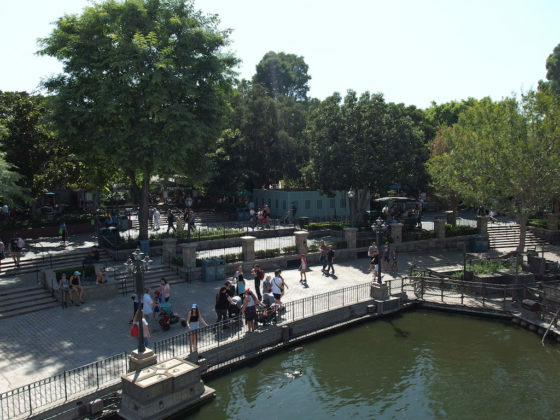 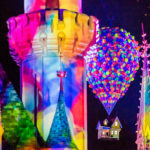 Most people do not realize that the Disneyland “dark water” system is all connected. 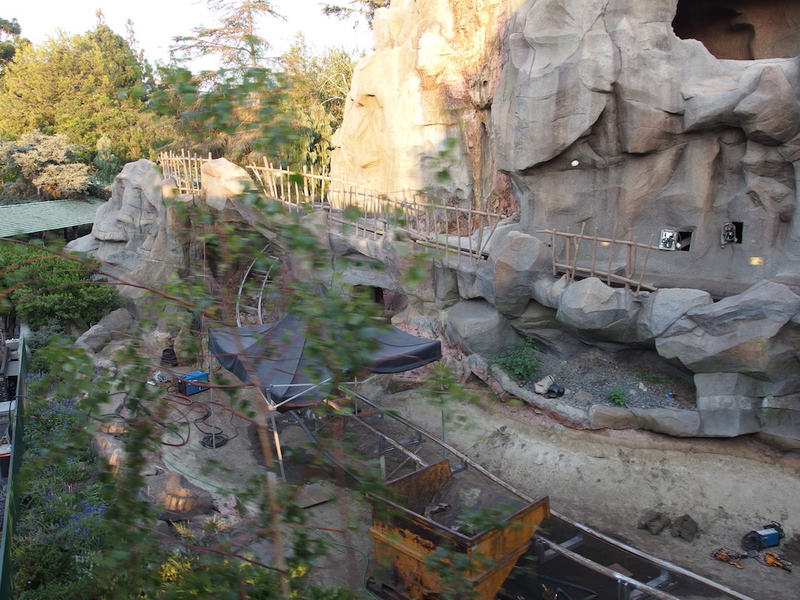 The entrance point is among rockwork in the former motorboat lagoon. 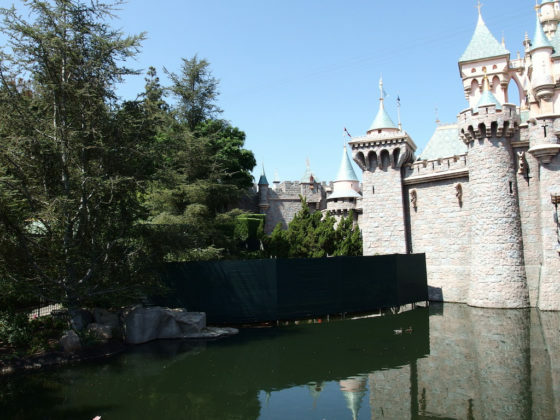 From there the water travels under walkways to the moat at Sleeping Beauty Castle. It then flows around the west side of the central hub, past the entrances to Frontierland and Adventureland. 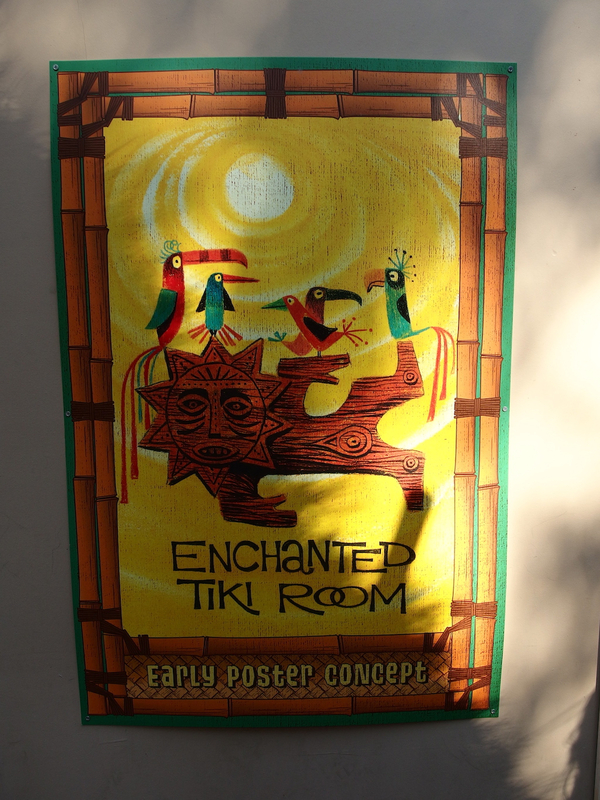 After moving around the perimeter of the Enchanted Tiki Room it flows into the Jungle Cruise. 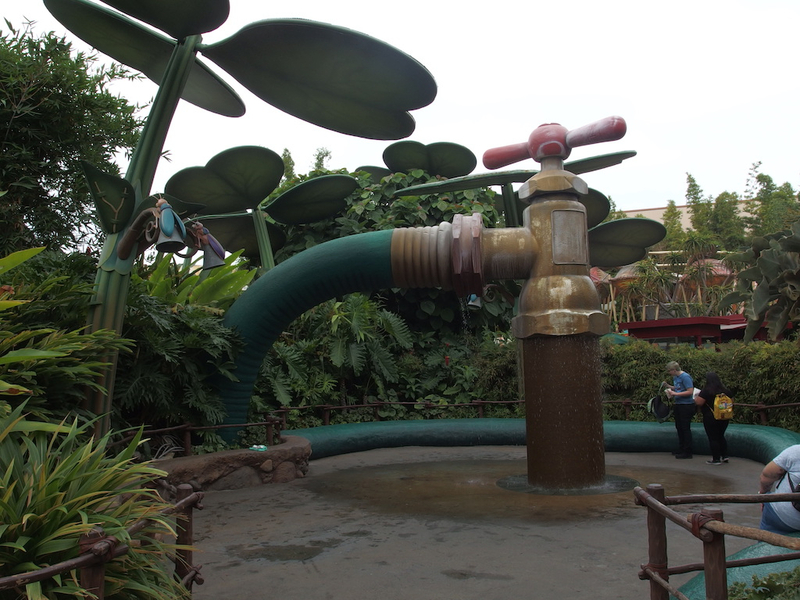 This is connected underground to the Rivers of America. 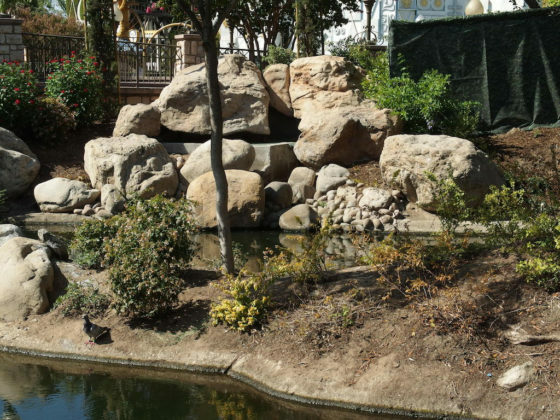 The water in the river moves slowly to a low point in the northwest corner, where a pump station lifts it to a gravity fed pipe back to the rockwork where the cycle begins again. While work is being done on different sections, the pump has been turned off. 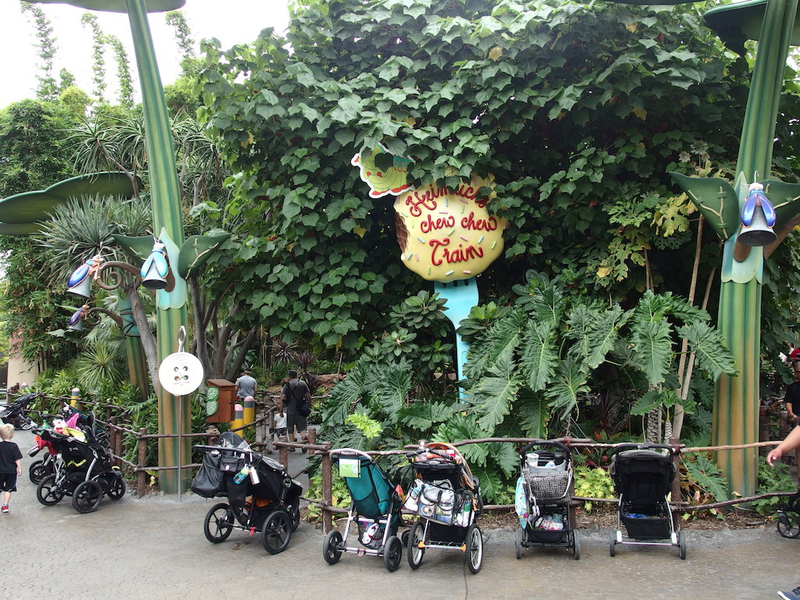 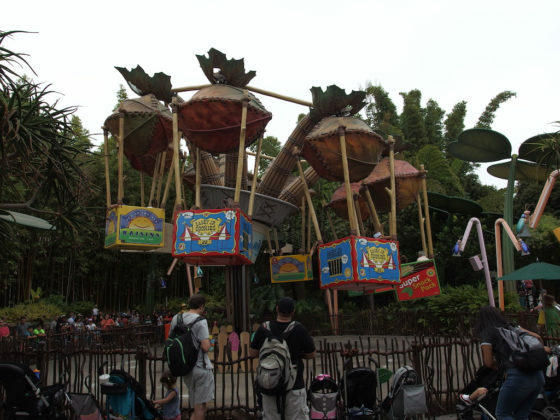 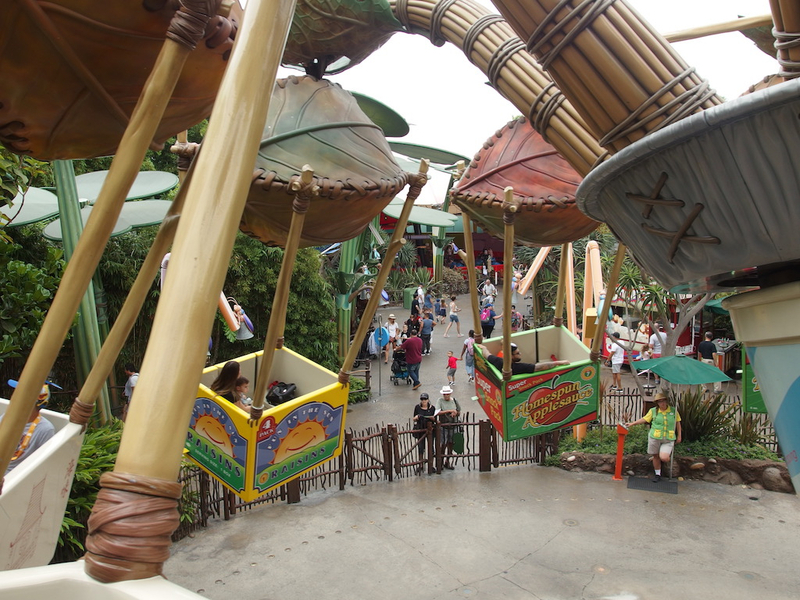 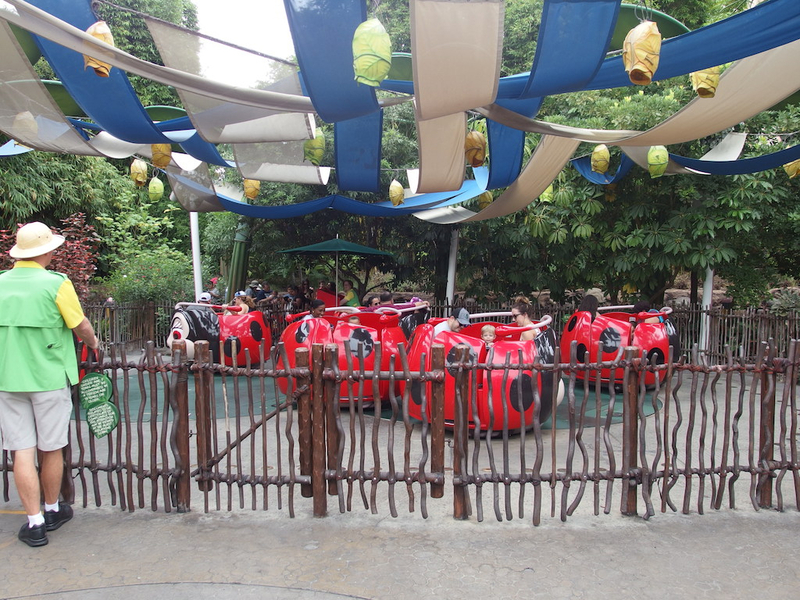 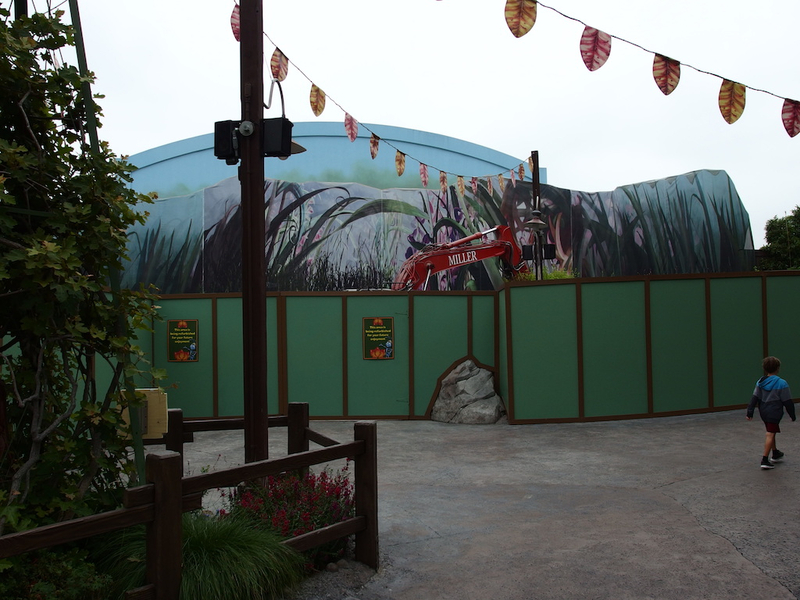 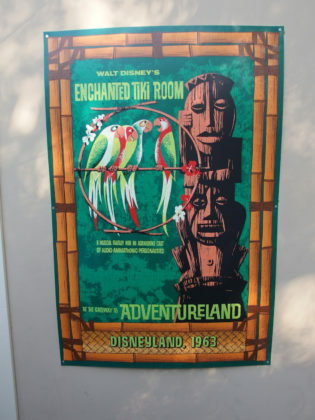 The Enchanted Tiki Room and patio are still closed for refurbishment. 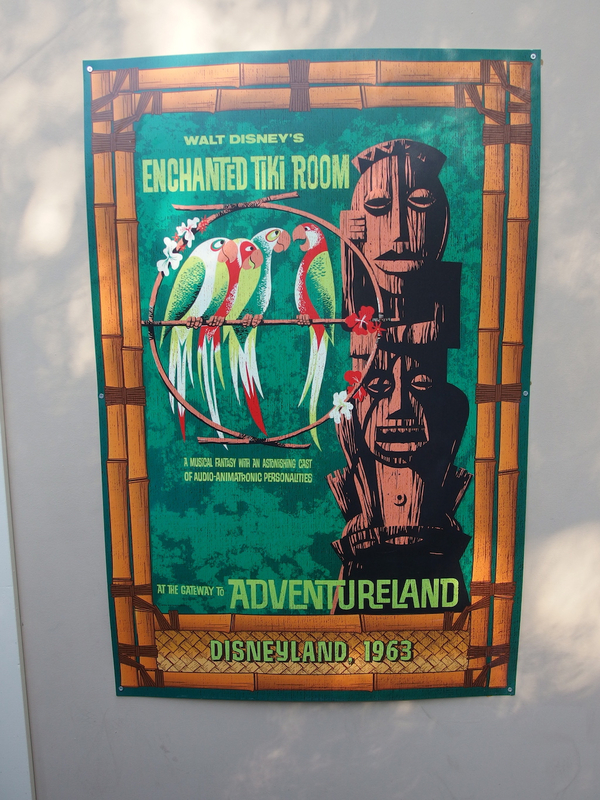 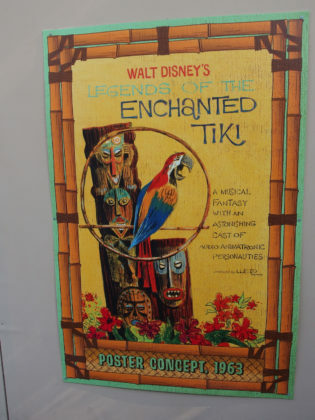 Vintage images and posters decorate the construction wall. The fence surrounding work on the new Tropical Hideaway has been extended to join the Tiki Room fence. 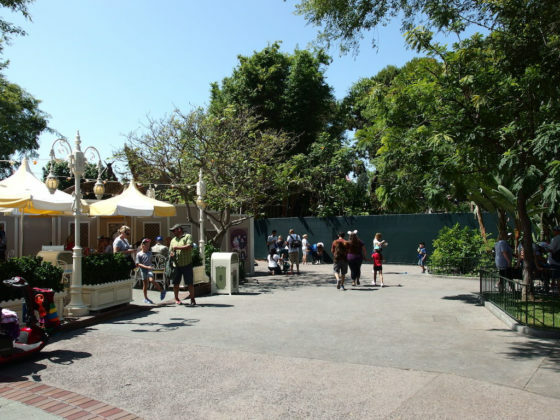 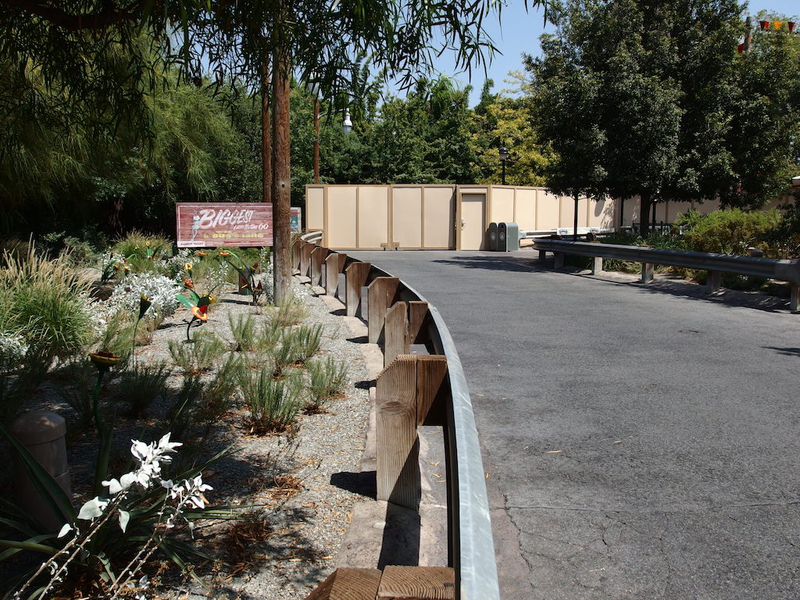 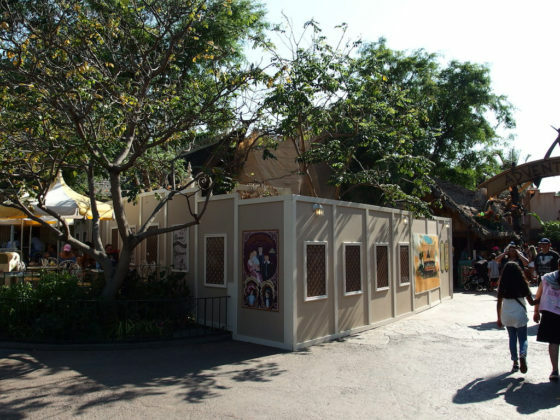 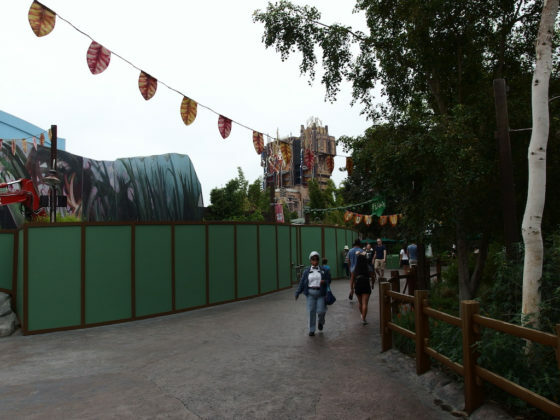 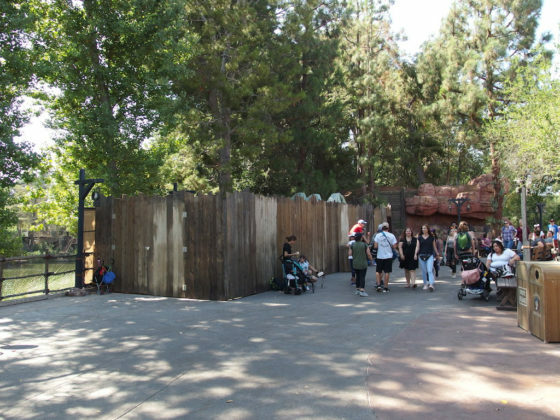 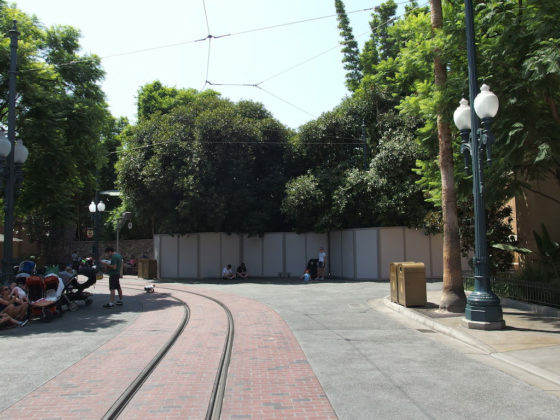 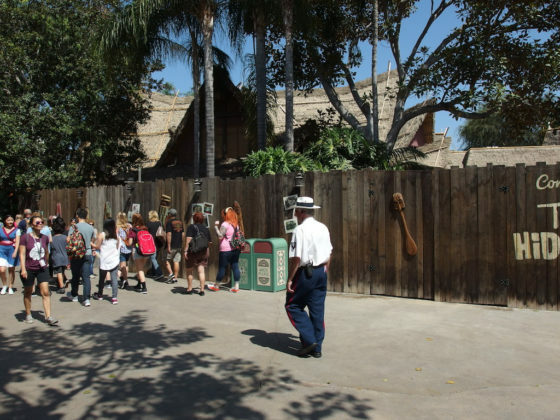 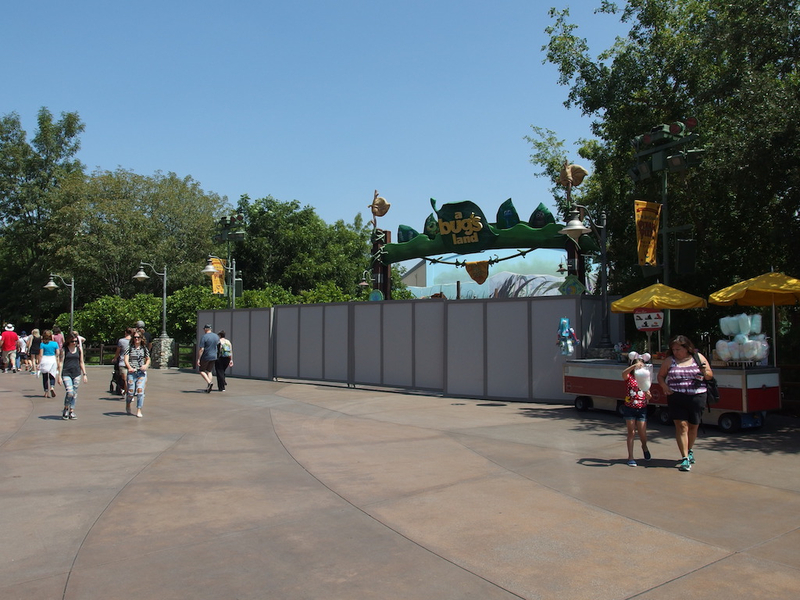 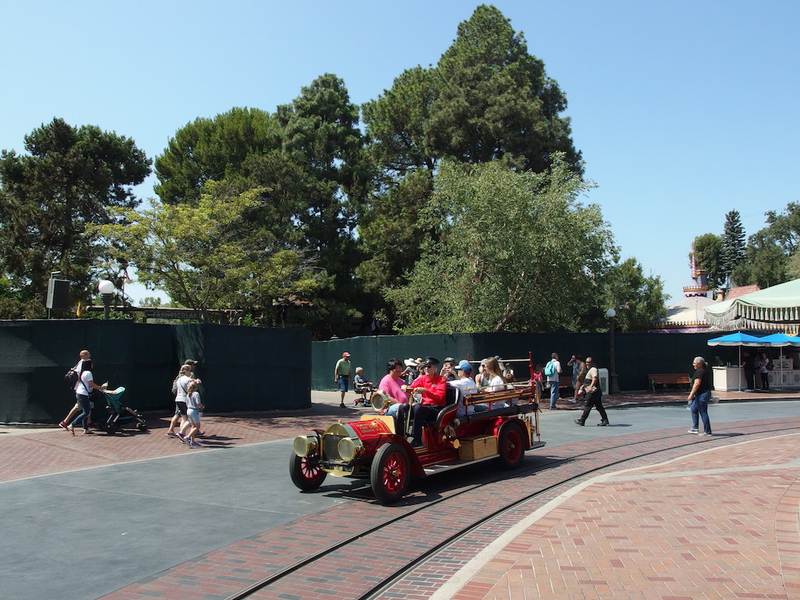 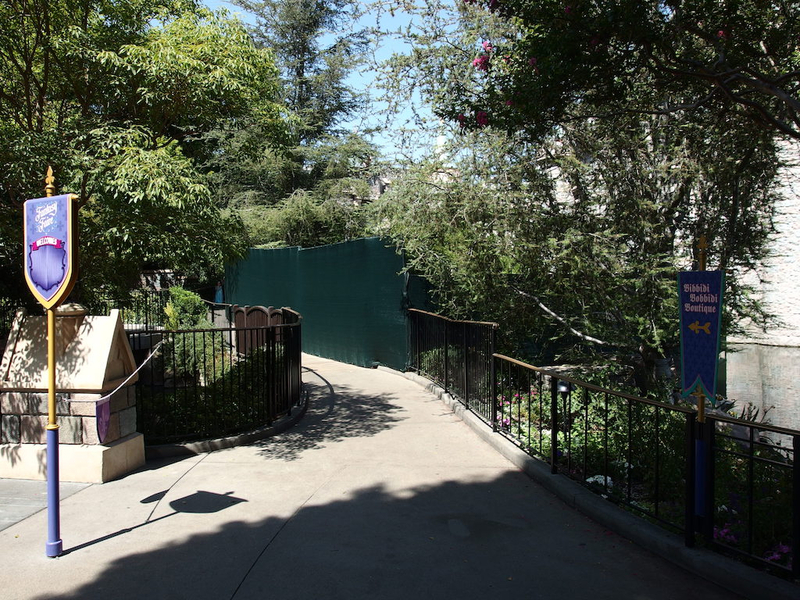 There are a few smaller construction walls around Disneyland as well. 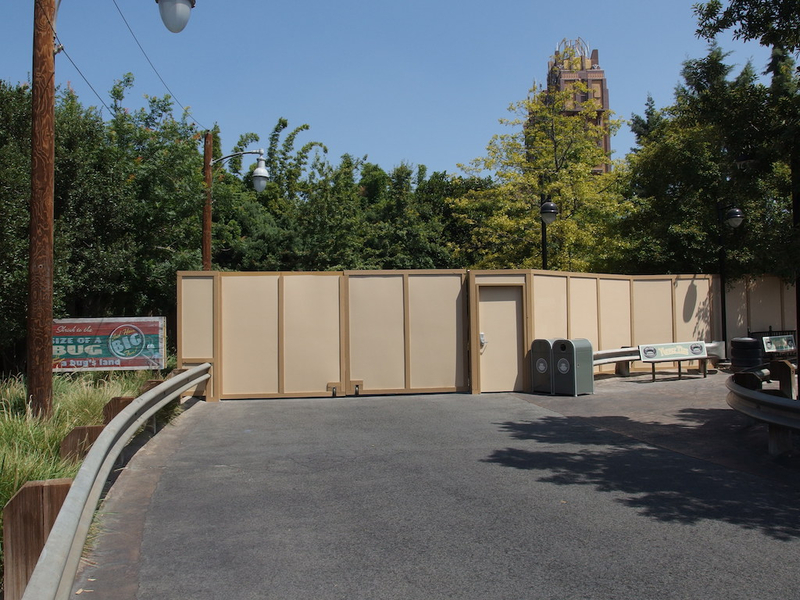 The wall around the Haunted Mansion is an annual arrival as preparations are made for the return of Haunted Mansion Holiday. 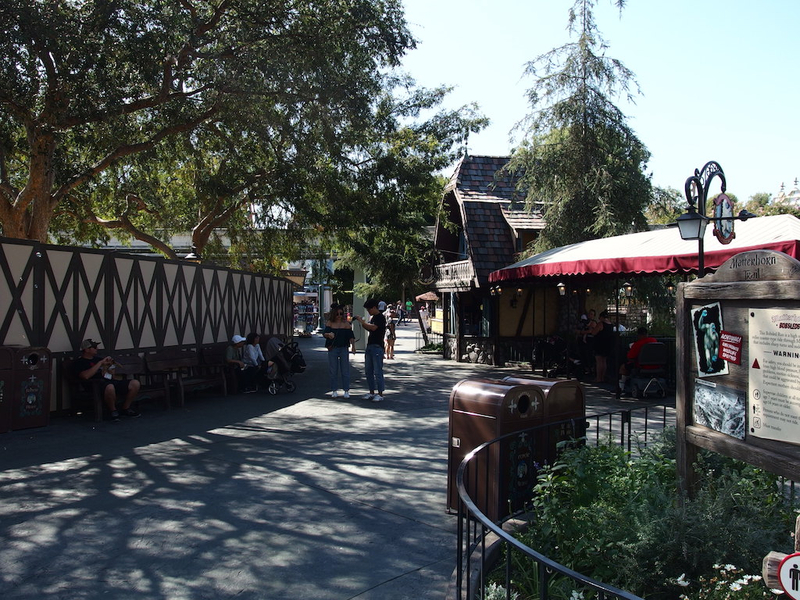 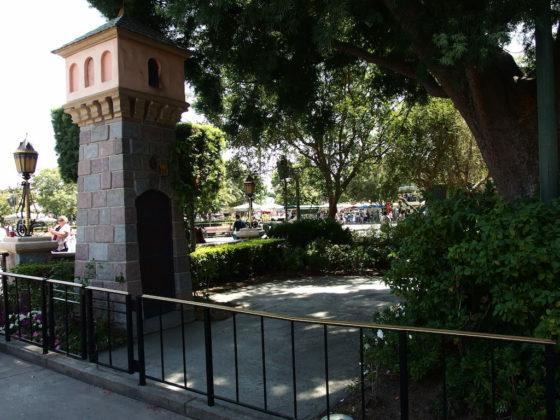 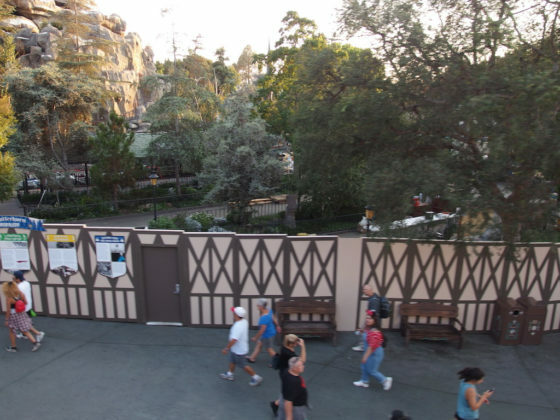 One minor project that is not behind walls is a small patio that has been poured at the “wedding garden” to the west of Sleeping Beauty Castle. 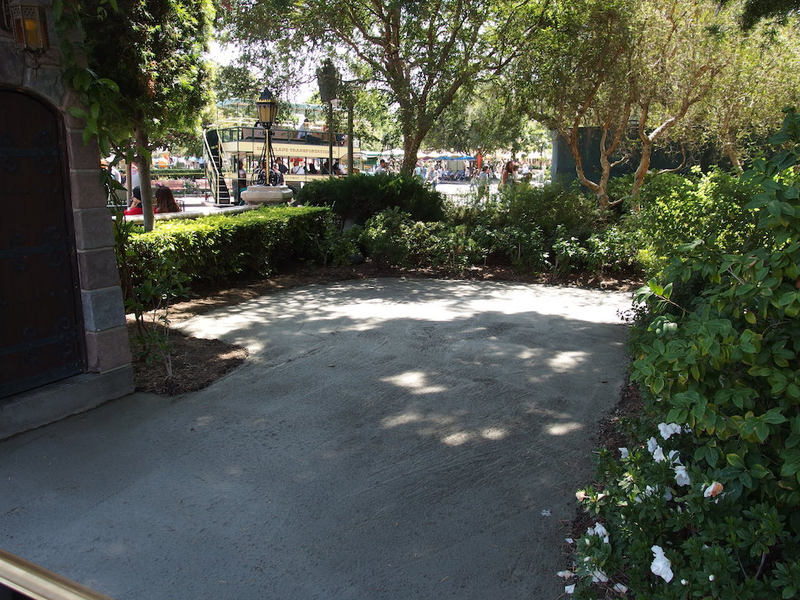 Previously this area was a lawn with random flat fieldstones inset. 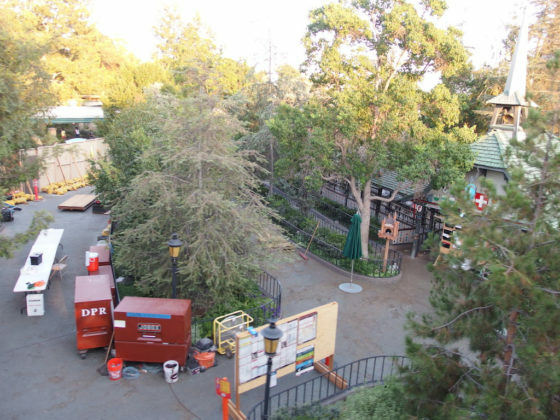 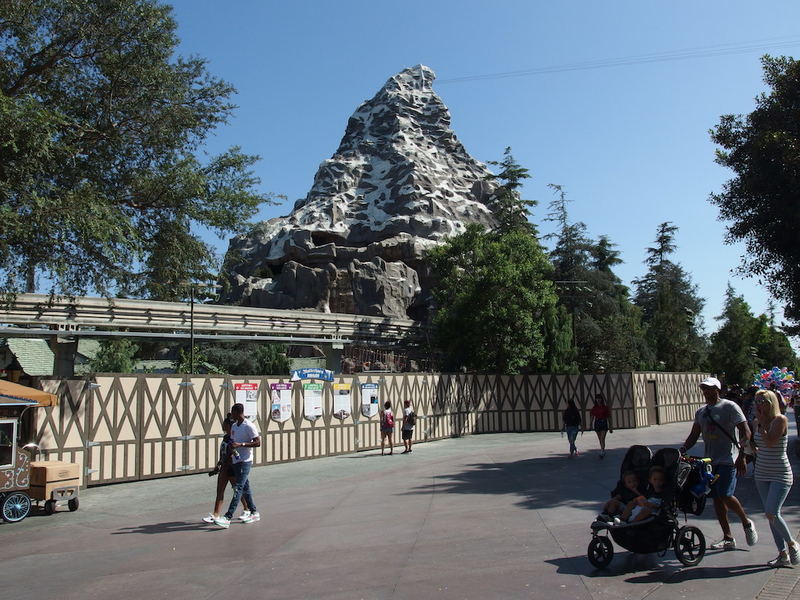 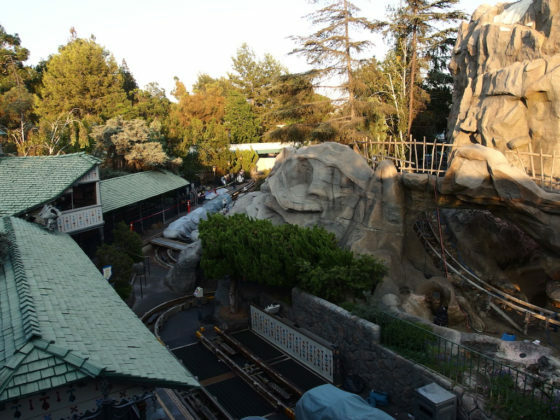 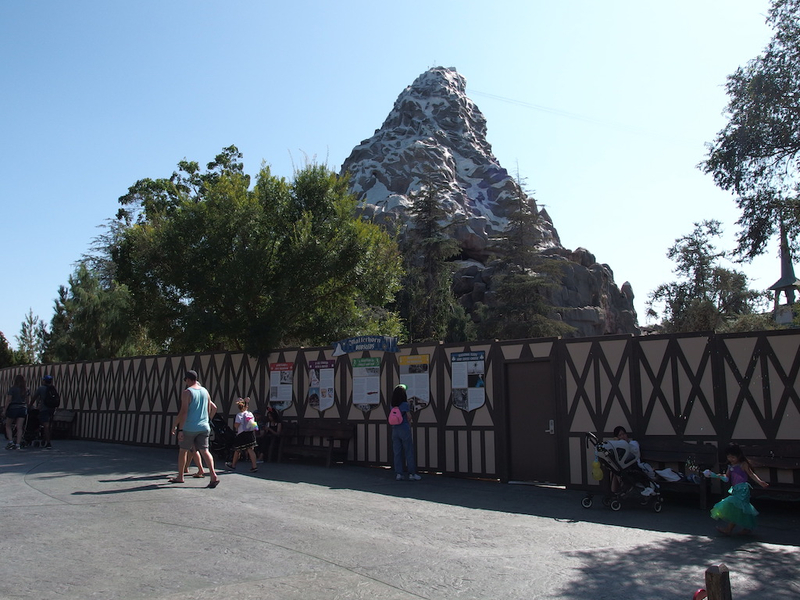 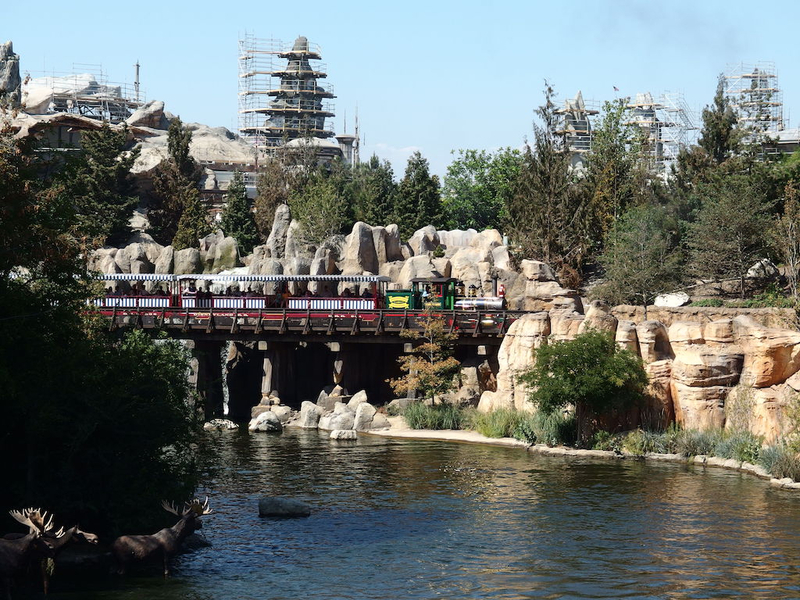 Major refurbishments continue on the Matterhorn. 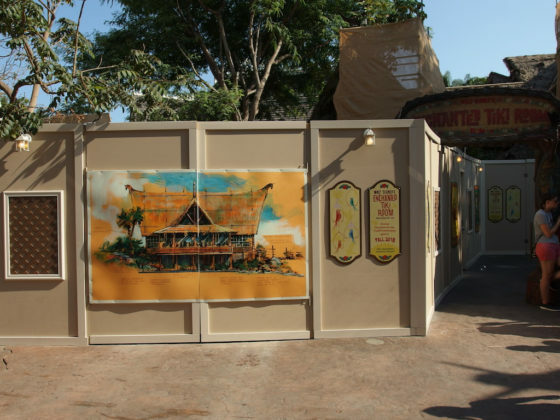 The construction wall has been decorated with images and text giving the history of the 1959 attraction. Curious guests can check on the progress by taking a trip on the Monorail and sitting on the driver’s left in their car. 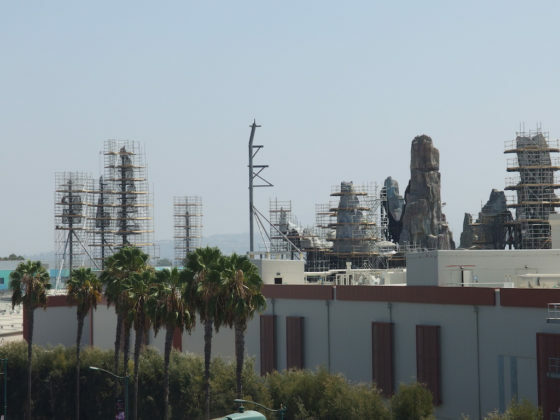 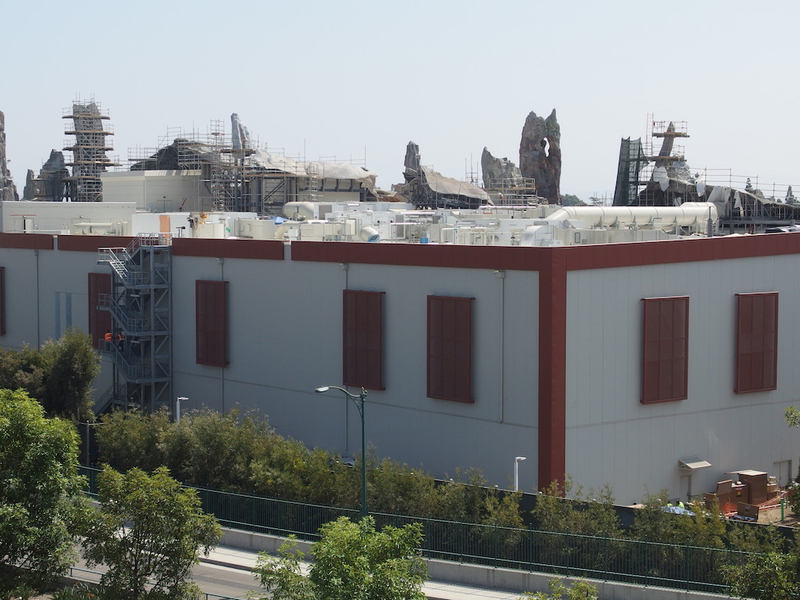 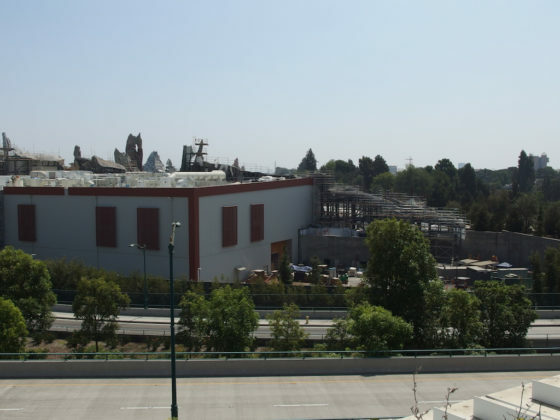 Work continues, of course, on Star Wars: Galaxy’s Edge. Most visible from the outside are the numerous rock spires that are still being added to the show buildings that house major attractions. These can also be seen from inside the park, especially along the Rivers of America. As the newly planted trees grow in, most of this will no longer be visible. 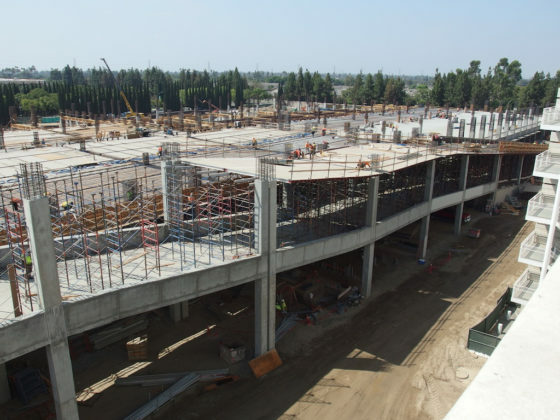 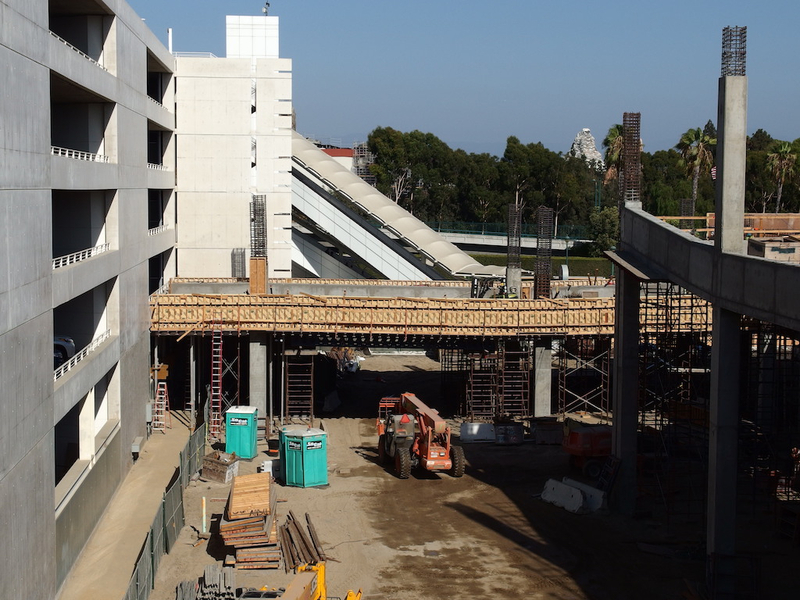 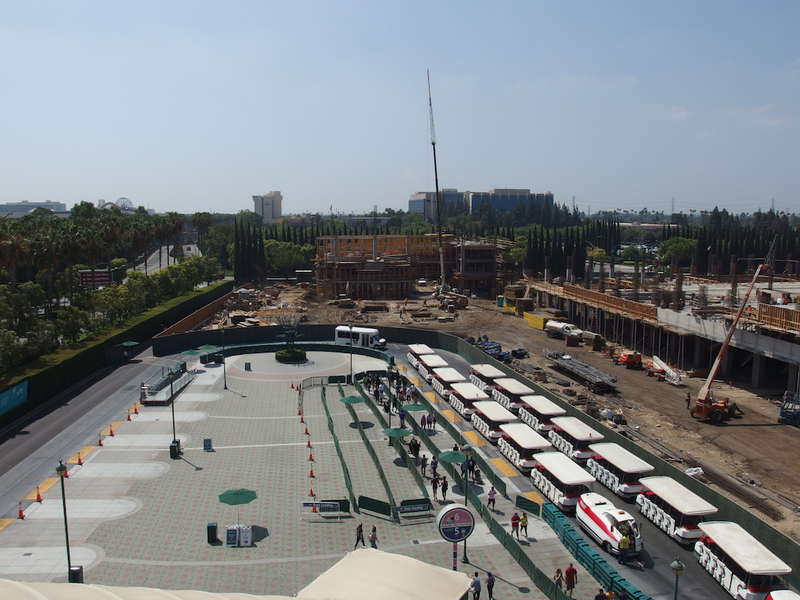 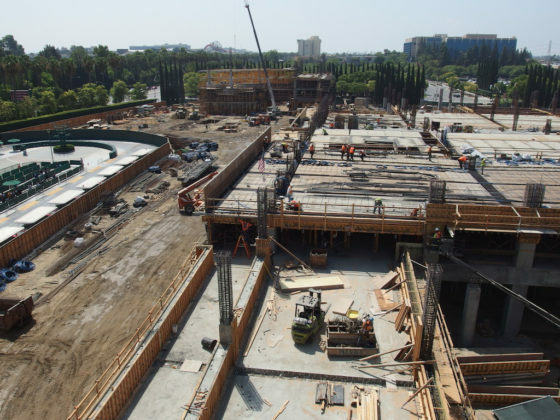 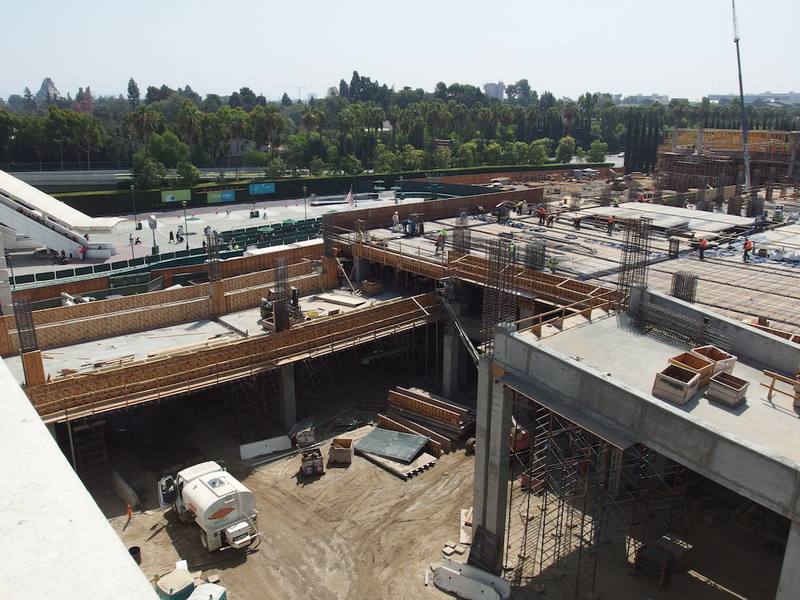 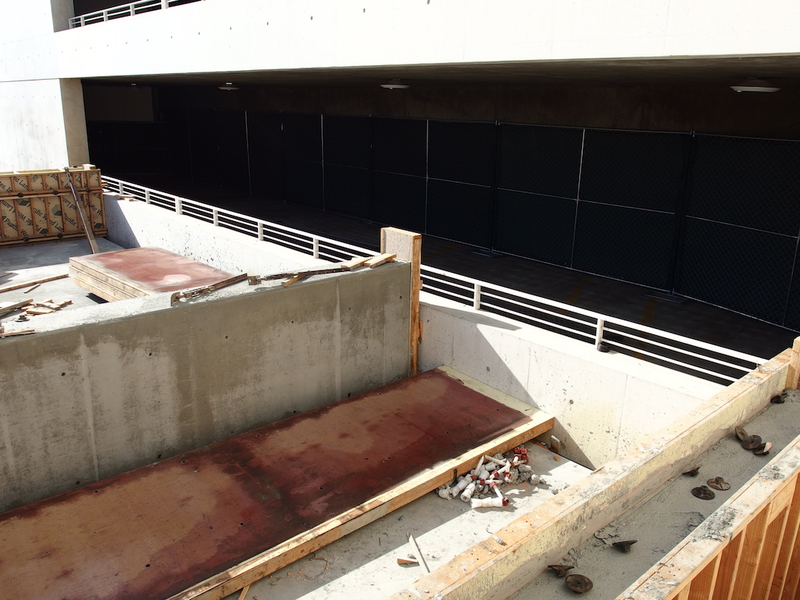 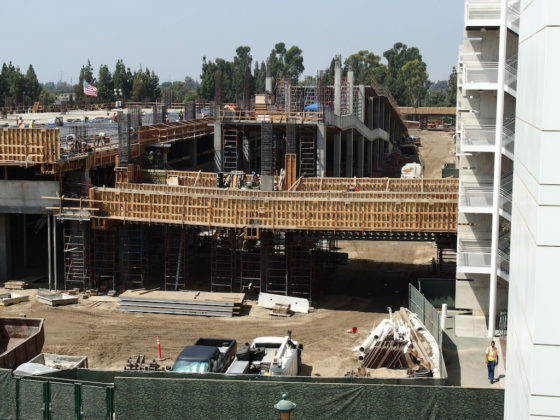 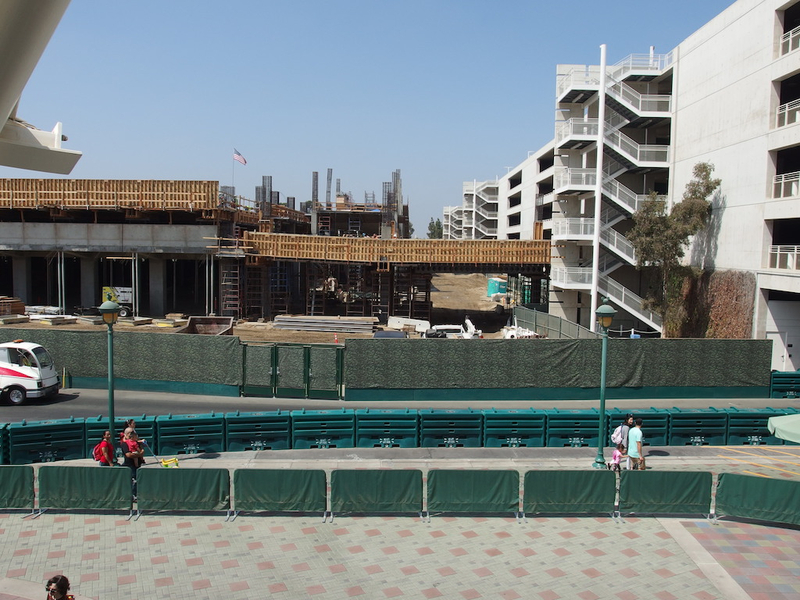 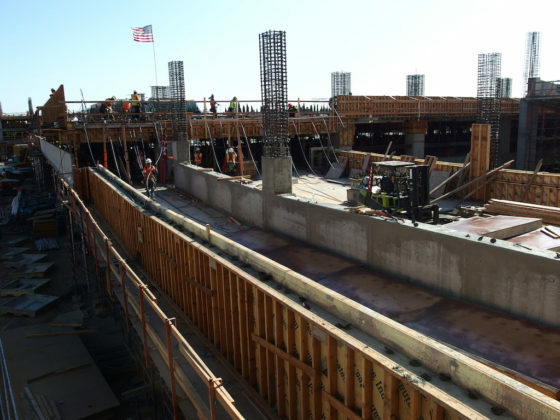 Finally, work has continued to move at a rapid pace on the Mickey and Friends parking structure addition. 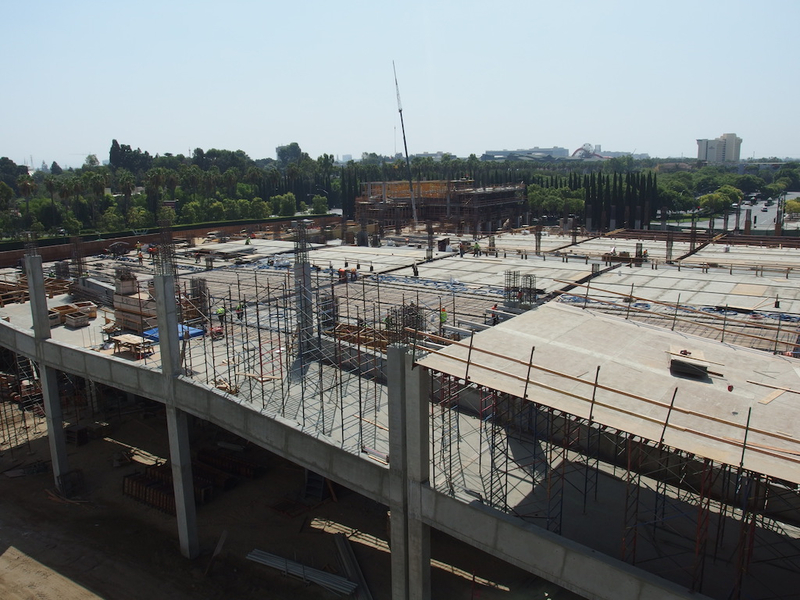 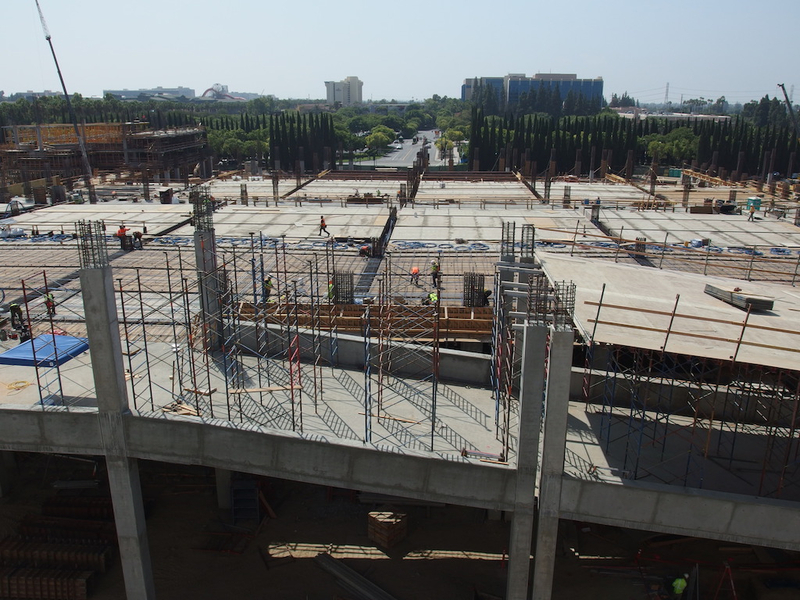 Upper floors are being poured and construction vehicles are now using newly built concrete ramps. 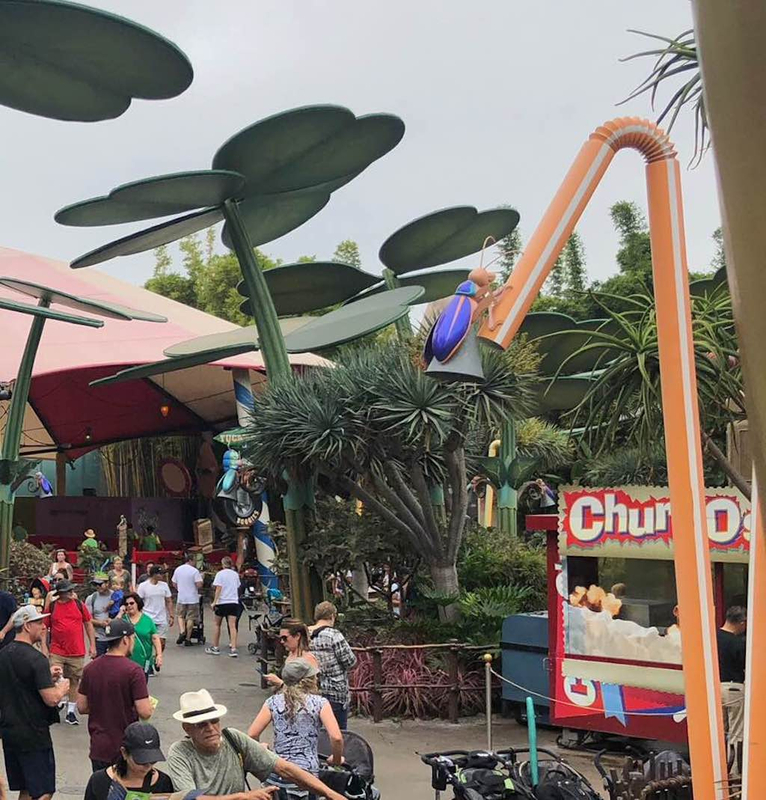 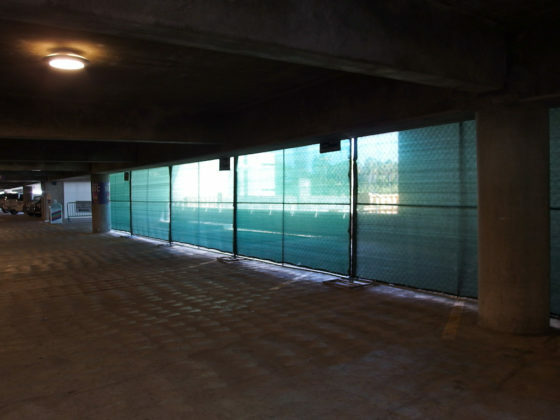 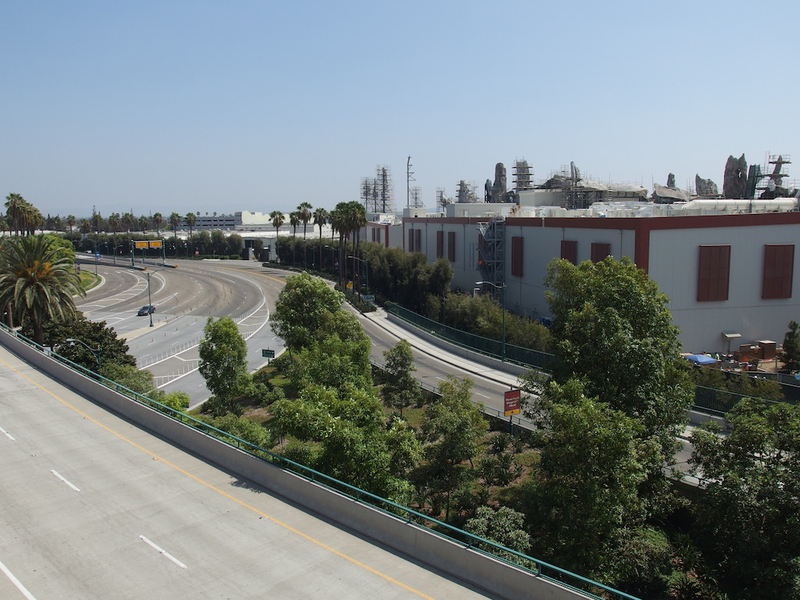 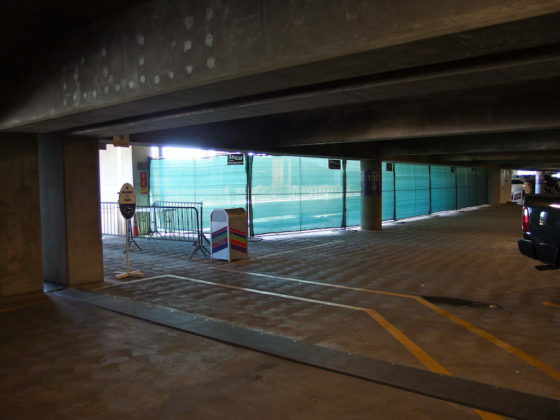 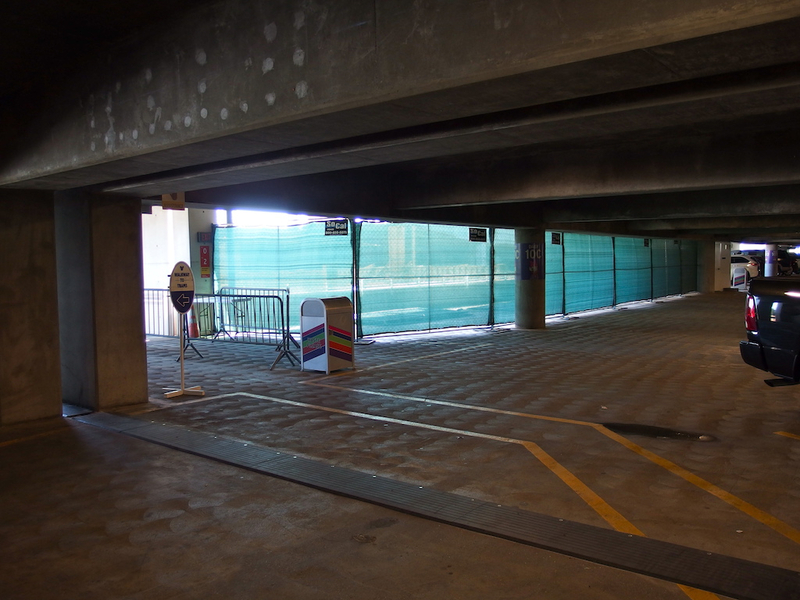 Guests can also see connecting ramps between the old and new structures, both from the entry area, as well as from inside the existing parking levels.